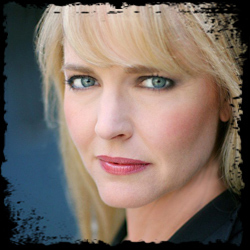 Lisa Wilcox has appeared in numerous film, television, and theatre productions; although, it’s from her work in film that Nightmare on Elm Street fans know her best. Lisa played the starring role of “Alice,” the Dream Master who bested Freddy Krueger in A Nightmare on Elm Street 4: The Dream Master and A Nightmare on Elm Street 5: The Dream Child. Since appearing in the Nightmare series, Lisa’s other notable film projects include Men Seeking Women with Will Ferrell and Watchers Reborn with Mark Hamill. Television credits include appearances in such series as Star Trek: The Next Generation, Boy Meets World, Bill & Ted’s Excellent Adventures and many more. In 2000, Lisa portrayed Florence Henderson (Carol Brady) in Fox’s TV movie Brady Bunch: The Final Days and starred in the Academy Award nominated short The All New Adventures of Chastity Blade. It was also in 2000 that Lisa (along with Nightmare 4 co-star Tuesday Knight) began a jewelry enterprise, Toe Brights. The jewelry originals produced by Toe Brights quickly became a favorite to many of Hollywood’s elite actresses. Lisa took time out her busy schedule to answer some fan questions and talk to us about her experiences in acting, how Chastity Blade came about and more. NOES Companion: Tell us how you become part of the entertainment industry? Was acting always something you wanted to do? Lisa Wilcox: Acting wasn’t something I thought to do professionally, just for fun. However, I went to an audition one day with a friend and the producer asked if I was auditioning and I said no. Anyway, the producer convinced me to audition and I did get the lead in Hot L Baltimore by Lanford Wilson at the Buddy Ebsen Theatre. An actress was born! How do you go about selecting what role is right for you and what do you find rewarding when playing a character? It is rewarding to explore a different point of view and just creating a character from head to toe. It is fascinating. Do you prefer films or television? Why? I love both. They both involve creating a character and playing with it. Were you a fan of the Nightmare on Elm Street films before you appeared in one? Do you have a favorite? I love scary movies—Carrie, Rosemary’s Baby, The Exorcist. I thought the original A Nightmare on Elm Street was great—Yes, I was a fan before I did 4 and 5! In the fourth film, your character has a lot of action scenes—especially toward the end of the film. Were you required to train physically for the role or were stunt people mostly used? I took a day of karate and had to learn how to use those nunchucks. I knew some gymnastics already, but of course stunt people were used too. Amazing people, like Olympic contenders! Did the success of Nightmare 4 come as a surprise? Yes, because it is a horror film. But looking back, it had a great story, funny Freddy lines, not too gruesome and a cast that worked really well together. Alice became a much more forceful character by the end of Nightmare 4, which continued into Nightmare 5. Were you happy with this change in Alice’s story? I loved Alice’s character arch in Nightmare 4. So much room to grow and see Alice change. It was well structured and written. Personally, did you prefer the story of Nightmare 4 or Nightmare 5? Why? I did prefer the Nightmare 4 story over Nightmare 5—though 5 brought up interesting issues regarding teen pregnancy and rights of a mother. Would you consider reprising the Alice role if another sequel includes the character? A project we’ve heard a lot about is the The Adventures of Chastity Blade. What’s this project about and what is its status? This won an Academy Award nomination for best foreign student film. It is about a woman, Maggie, bored with her married life and who loves these action adventure novels about Chastity Blade. Through an accident, Maggie becomes Chastity and goes back and forth between her real world and Chastity’s world. We had a development deal to make it a series, but it didn’t happen in the end. A great project though and the tape can be bought by emailing my website. How do your children feel about having a mom who has been on TV and in the Movies? They think it is awesome. Especially when they have gotten to meet actors like Mark Hamill/Luke Skywalker! Tell us about Toe Brights. It just kind of happened. I ran into Tuesday (Knight) and she was making these darling toe rings—though I can’t say I had ever worn a toe ring before—but these were different! Anyway, I invested some money, we became partners and 5 years later we are international with Japan and UK recently becoming our new big clients. We have a blast designing and working at the office. Toe Brights also has some high profile celebrity clients. Were you surprised at the level of interest? No, not surprised—it is great jewelry, if I do say so myself! Any future projects we should be on the lookout for? The NOES Companion would like to thank Lisa for her time. Be sure to check out Lisa’s official website at Lisa Wilcox.com.